Cumberland – The Indian One-horned Rhinoceros was born at wild near Cumberland Ohio. It is fifth successful birth of one-horned rhino under the program INDIAN RHINO BREEDING in southeast Ohio. This is third calf for Dailey (mother rhino name). 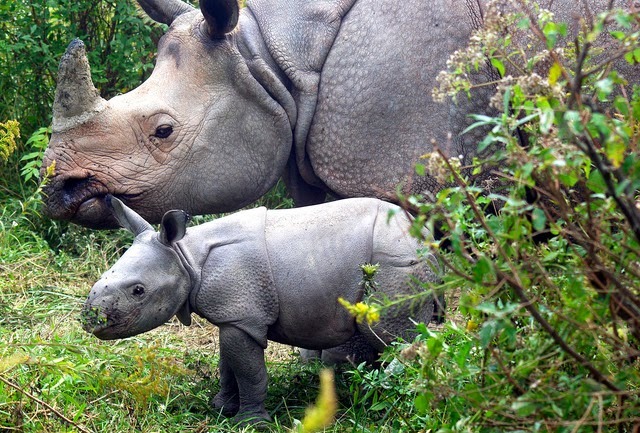 Now there are five Indian Rhino and 13 white rhinos at the wilds of Cumberland. The program aim to more breeding for endangeous spices. Kindly preserve the wildlife and help to stop global warming.